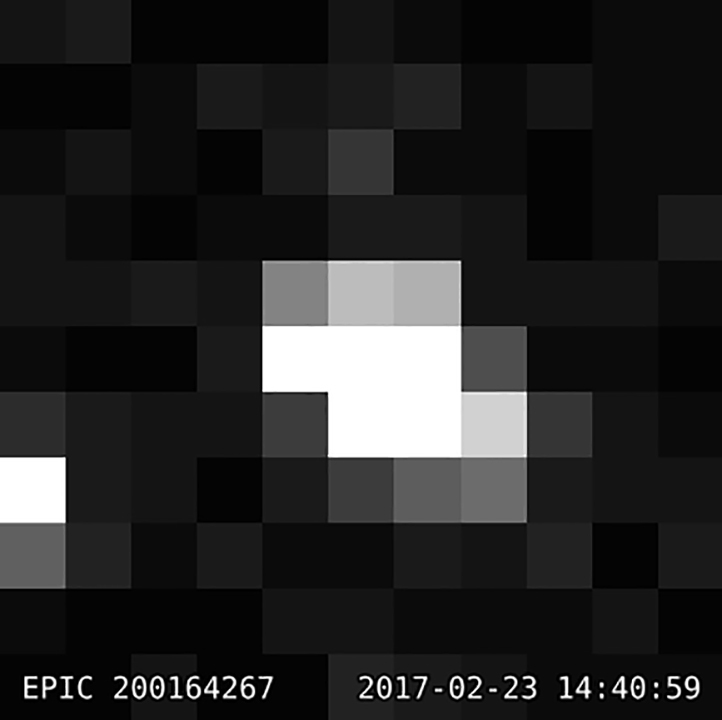 Actual Kepler telescope view of Trappist. 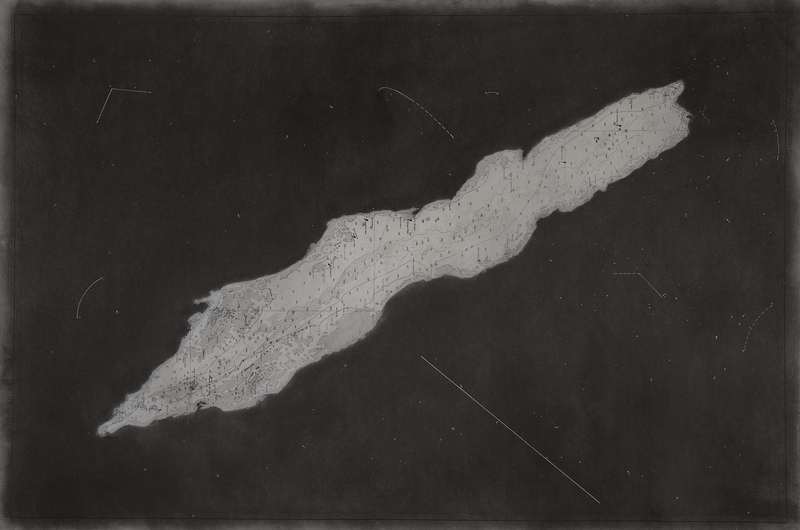 Firmament is a project that began with a question: what would the night sky look like from an extra-solar planet? And would it be of our constellations and orientation? The celestial body in question is named Trappist-1e, and it was discovered in 2017 amidst much ado regarding its supposedly striking similarities with our Earth. To obtain such an unprecedented perspective, Niccolò Moronato reached out to Adler Planetarium’s Space Visualization Lab in Chicago, collaborating with its director, Prof. Mark Subba-Rao. By attempting to devise new shapes and constellations out of a blank new sky, Firmament operates in the area of friction between our humanistic idea of “us at the center” and the presumed objectivity of scientific knowledge. The project – through several works and the imaginative participation of diverse audiences – will investigate the formation processes of many different contemporary identities, simultaneously generating hypotheses regarding history, imagination, and the creation of myths. An archive of potential skies and narratives will gradually take shape, and it will be as diverse as the backgrounds of the people who will participate in the creation of a library of new “mythologies” that will help understand contemporary desires and obsessions. The fact we might never be able to get rid of our anthropocentric perspective does not mean we can’t have an emotional, aesthetic experience of our own biases, and ultimately dispose of them only to create new ones. This process, therefore, puts imagination at the core of a journey to find new inspiration and reconsider our relation with objectivity, logic, and the unfathomable, in the advent of artificial intelligence and space exploration. 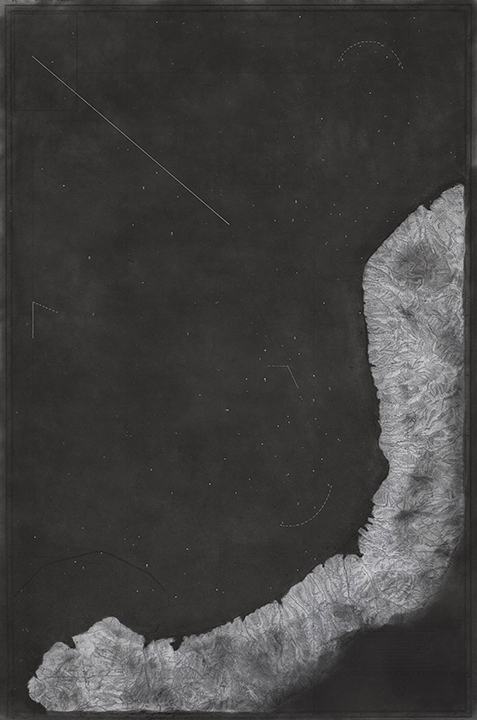 The project originated with a series of large graphite drawings (named Firmaments) by Niccolò Moronato, tracing his first approaches toward this new sky – seeking a different kind of orientation, looking for geometries, and projecting himself upon a blank canvas, leaving along the marks of an arbitrary act such as dissecting the sky in suggested symmetries and shapes. In addition to the drawings, the artist also wrote his own new mythology for the Trappist sky – named Argo Cult – informed by observation, cross-mapping with Earth’s sky, subliminal advertising, and a study of constellations dismantled through history. Argo Cult also became a Teletext public graphic experience and a horoscope (named OOOroscope), developed with and broadcast by RAI 1 (Italian National TV channel) on its worldwide frequencies throughout the first part of 2019 (page 675 on RAI1, this link outside of Italy, repository video link here). By vocation, Firmament functions as a platform that gives space to a growing body of work composed by different kinds of contributions coming from the general audience (through the “Star Survey” workshops and digital platform), invited artists, scientists, or from any other cultural practitioner that will relate with it. It’s an exhibition in progress, conducted through different modules, works, and contributions, that can happen separately or at the same time, with virtual or physical presence, and in the same location or not. – the Star Survey – in workshops and digitally. 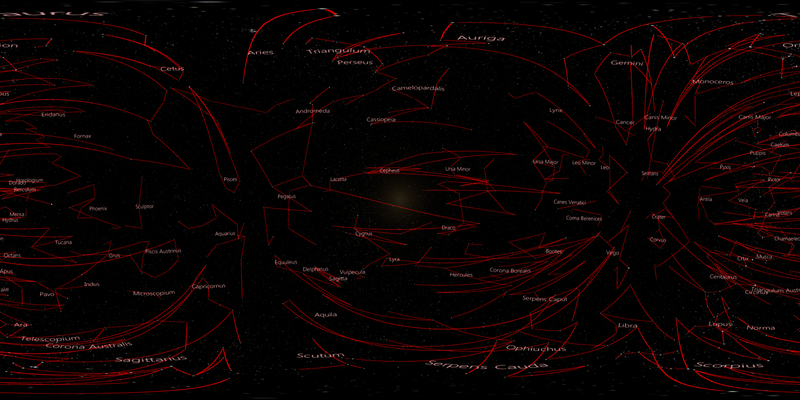 – the Archive of Potential Skies, containing all Star Survey contributions – its knowledge can be interrogated physically as well as digitally, making way for multiple display options. – Firmaments – exhibiting artistic responses, including collaborating/invited artists. 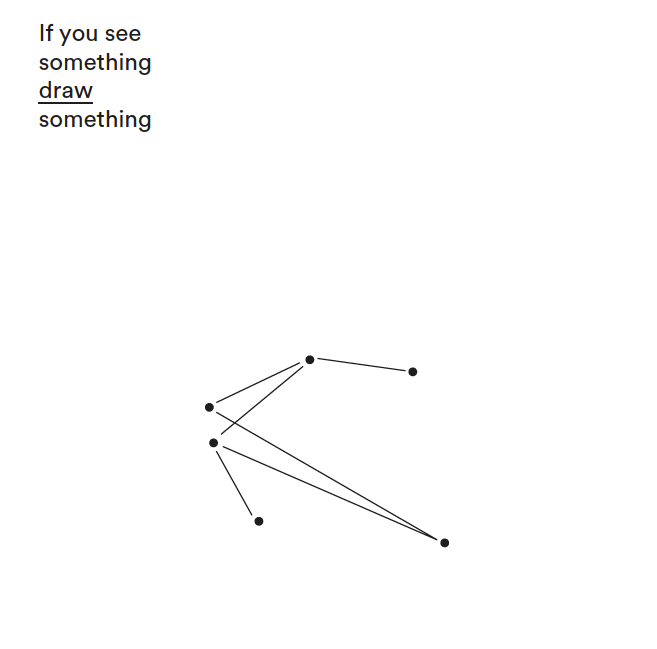 The backbone of all relational activities is represented by The Star Survey, created jointly with graphic designer Marcelo Vendramel and interactive artist Bianca Mori. It is a public exercise in collective imagination, an attempt at an inclusive process to establish what figures we shall elevate to the rank of constellations. It takes the form of a series of participatory workshops, mediated by the artist or by other facilitators, taking place at locations within and outside the art world. Participants from the public will be invited to draw what they see around a random geometry taken from the Trappist sky, and then submit it. Contributions coming from different kinds of audiences will all feed into the Archive of Potential Skies, which in return will inspire individuals to contribute with their own constellation on a digital online interface and in unmediated installations/relational environments. January/March 2019: ViaFarini Residency, Milan. September 2019: Dyson Galleries, Royal College of Arts, London, UK.